These medium wash jeans are the perfect fit and made for comfort with 5 pocket design, mild destruction and unfinished hem. True to size w/ good stretch! 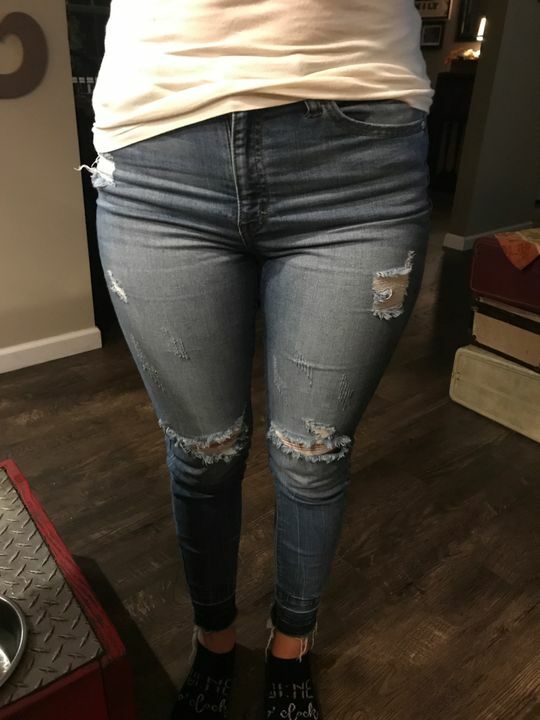 I wear a size 6 in American eagle jeans and was able to order a 5 in these and they fit amazing! I love how soft they feel and the stretch is amazing! Got a great deal! Great jeans! Love these jeans! Comfortable and cute!